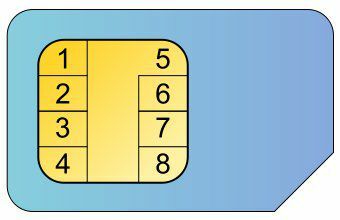 A SIM card (Subscriber Identity Module) is a memory chip found on mobile telephones. The holder of the chip can personalise a standard telephone and store data (telephone contacts, sms etc.). Locking allows operators to limit the use of the SIM card to their own brand of mobile telephone. Thus, when a user changes operator, they also have to change their SIM card.